Trend Alert – Mid Century Modern design is having a major moment. Our phones keep ringing with potential clients asking for MCM. We’ve done renovations to restore MCM homes to their former glory and we’ve infused countless homes with MCM accent pieces and decor. It is funny because baby boomers that grew up with MCM once tended to steer away from the look since it probably reminded them of their parents’ house but like many things, MCM came full circle. Mid Century Modern was a design era from the 1930’s to the 1960’s. Started by the Bauhaus, an art school in Germany, MCM stems from the idea that everything can be designed. The Bauhaus believed architecture should encompass more than the exterior shell of a building and interior walls, it should include the furnishings, finishes, and decor. 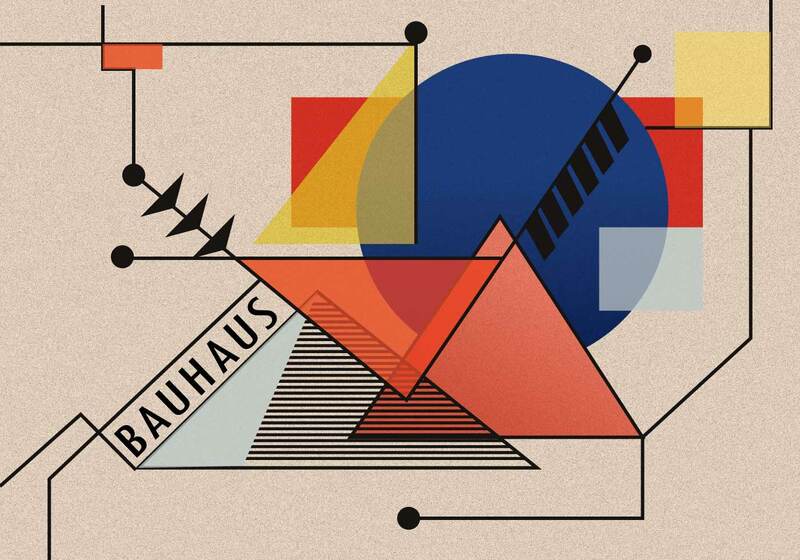 Bauhaus saw every object as an “art object”. Bauhaus took this idea and applied it to all aspects of design, including graphic design, industrial design, and interior design. Beyond Bauhaus, MCM gained traction in America and other parts of the world like Brazil and Scandinavia. American designers are often credited with infusing the strong linear lines of the Bauhaus MCM with a slightly softer, more organic structures. Many of the most iconic furniture still in use today was designed during the MCM era. Undulating forms, curved arms, tapered “peg legs“, and an assortment of woods like teak, walnut, maple, and beech are some of the defining characteristics of MCM design. BHD has long been a fan of MCM. From a design standpoint, MCM is a designer’s secret weapon because the pieces add character and help create a layered look when paired with more contemporary furniture. We love the scale of MCM furniture because it isn’t the puffed-up furniture we tend to see today and is really great for historic homes that tend to have less square footage. Lastly, we love MCM furniture because it is the perfect blend of organic, natural materials and high-design. The great thing about buying MCM furniture today is you have the option to buy new or you can buy used. There are a plethora of design firms recreating classic MCM looks, from walnut credenzas to sling back chairs, that are priced well and give you the look without the hunt. Buying authentic MCM can be tricky but we love tracking down originals because we love their originality and quality. There are local Nashville dealers that specialize in authentic MCM and tons of online sites. It is getting rarer and rarer to find MCM priced cheap at antique stores, estate sales, and thrift stores but there are definitely still deals to be found! This BHD space is featured on HGTV’s article on MCM design! MCM art is another one of our favorite go-tos. We love the organic muted tones and geometrically driven designs. We often have better luck finding MCM art in local thrift stores and the like because it isn’t as recognizable as say an Eames lounge chair or a Saarinen tulip table. An easy and relatively inexpensive way to add MCM appeal to your home is through color, either with paint or textiles. Color wise, small accents of citruses or mustards go a long way. Sherwin Williams “Vintage Finds” is a good starting point. BHD literally has hundreds of color options to choose from! We love layered accent textiles in a space to build a bohemian, eclectic look. 2016 has been an exceptional year for BHD. We’ve worked with many new types of clients, completed more work than ever before, and we’ve found new community partners, vendors, and people to partner with. Office wise, we’ve welcomed Mary to the office as a designer and are so happy to have her. Beth has been busier than ever so it is great to have another person on the team. In addition, we are looking to hire another design assistant, so if you know someone special, please let us know! Here’s to a wonderful holiday season and a happy New Year. Cheers everyone! The clock is ticking for us to share some of our favorite spaces. Here’s a roundup of spaces we love that we haven’t had the chance to share until now. Hope you enjoy! What is sweeter than having a guest bedroom dedicated to the comfort and joy of tiny visitors? 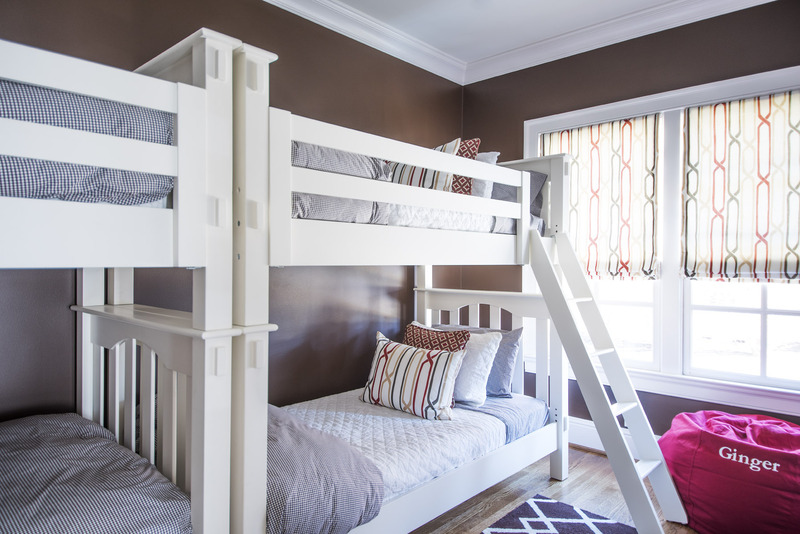 This bunk room sleeps four and is the ultimate “destination getaway” for grandkids! White wood contrasts wonderfully with the rich mocha walls while fun custom curtains and pillows pull the look together. This jewel box of a bathroom is the perfect mix of unique tiles and placement. By tiling the walls vertically and carrying the look into the shower niches, we created great visual height and texture. We further amplified the look by wrapping the front facade of the tub in the same tile as we used for the shower walls. The look is very custom, sophisticated and stylish, and adds great value. 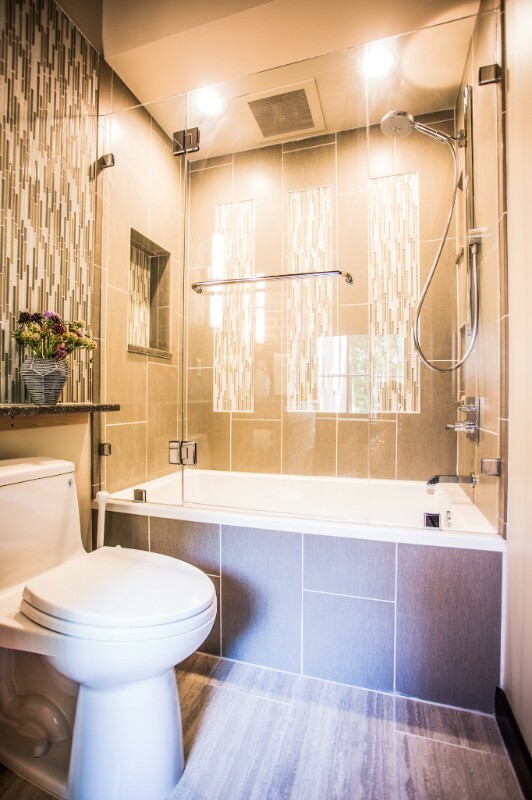 Beautiful custom glass doors keep the bathroom spacious and put the tile work on display. 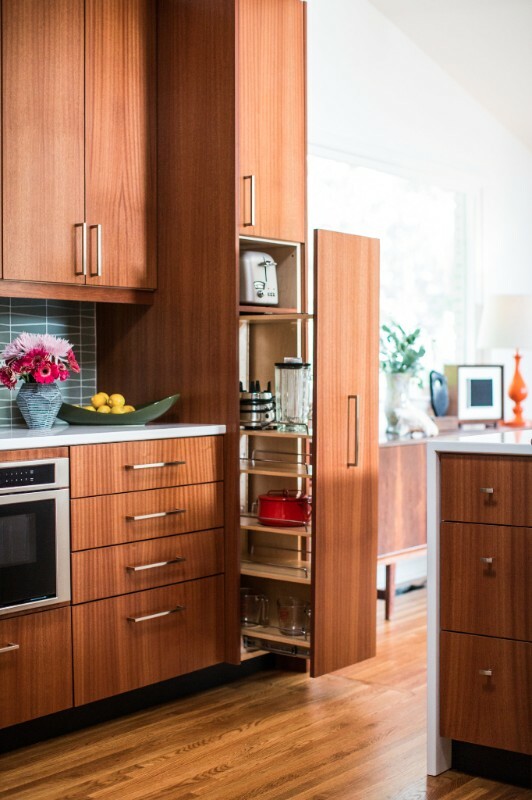 We love this MCM kitchen remodel and love the way the space is the perfect example of “form follows function”. This is a beautiful, hardworking kitchen, custom designed for busy, multifaceted lives of our clients. The pullout pantry designed to keep countertop appliances within an arm reach, yet off the counter, was one of our favorite solutions for the space. Planned storage fills us with joy! Sometimes accessories stay in our mind long after we deliver them safely to a client and this leather turquoise tray is one of them. The color was perfect, rich yet refined and the proportions were just right. 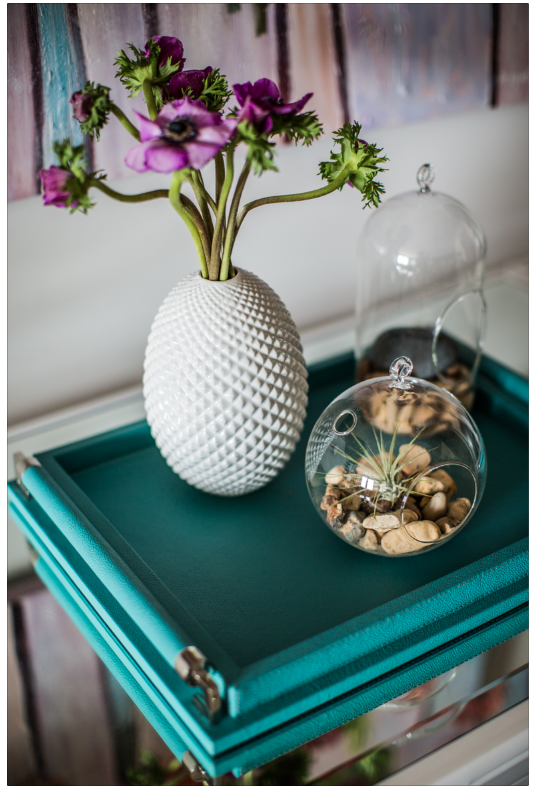 We styled the look with a simple vase and two air plant terrariums. Picture perfect. 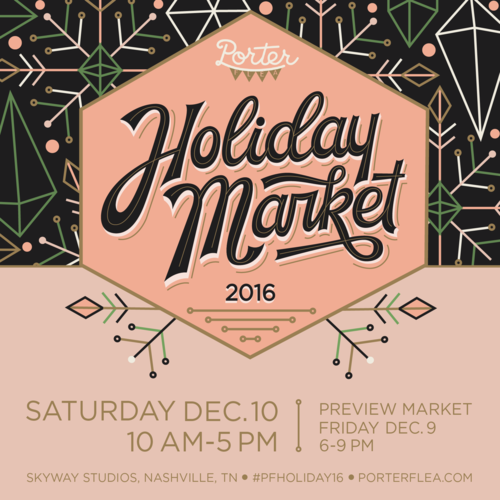 Attending the Porter Flea Holiday Market is somewhat of a tradition at BHD. Best gifts, great crowd, awesome holiday merrimount. New this season is the option to buy a VIP ‘Porter Pass’ to skip the (long) line on Saturday. We highly recommend this option if you don’t have time to stand in line! WHEN: Saturday, December 10, 10-5pm. Pre to Post Modern is one of our favorite local shops for vintage furniture, accessories, and decor. We love that on any given day we can walk into the shop and be inspired by the selection and quality of the pieces available. The store is well edited and curated. With all the work we’ve done the last few months for commercial Airbnb projects, we’ve relied on this shop for readily available, unique pieces. It’s been a total lifesaver! Can’t wait for their holiday event this weekend – shop local this season! 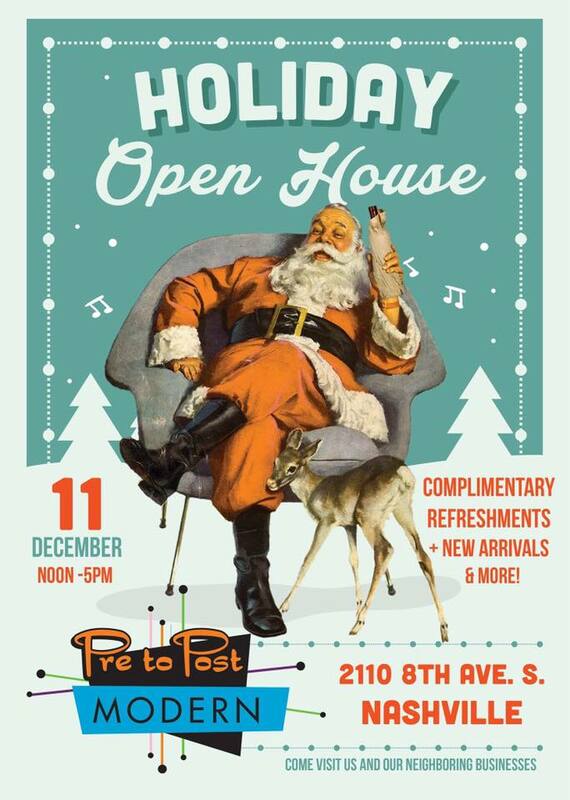 HOLIDAY EVENT: Sunday, December 10, 12-5pm.